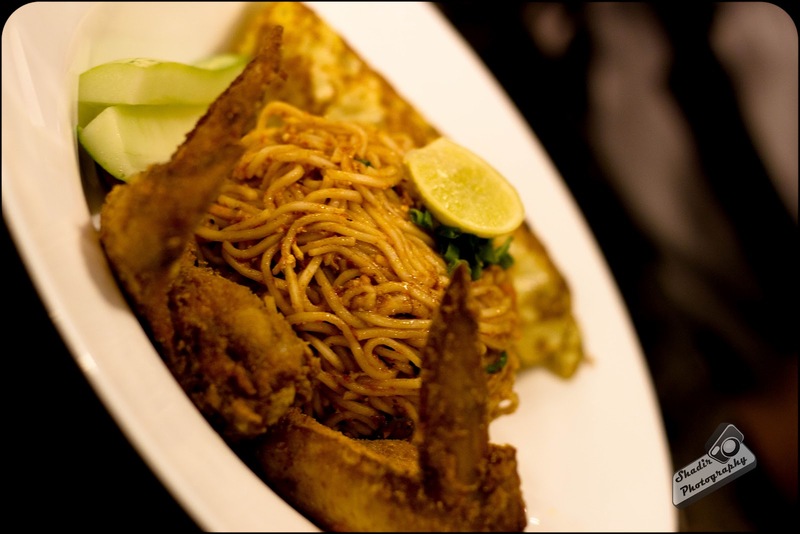 ECR ( East Coast Road ) is buzzing with activity these days, with loads of eat outs opened. Gone are days when you had travel a bit before you see a joint. I was at the newly opened New Town Coffee House, opposite to the VGP recently. We guys reached around 8pm for dinner. IPL was playing on the large screen outside. The ambiance outside was great. But it was a little dark so, we decided to go indoors. The indoor ambiance was good. It somehow reminded me of Main Street in Residency Towers. We took the Sofa Seats at the corner of the cafe. Seats were plush and comfortable. After the lovely drive to the place, we were quite hungry. For starters we had the Peri Peri Grill Chicken and the Cheese stuffed chicken ( I am not really sure of the name ) We were initially fixed on picking the Chicken Crostini. But the waiter suggested us this dish. Must say the waiter had a very good knowledge of the dishes and was able to explain the ingredients and suggest us the dishes. 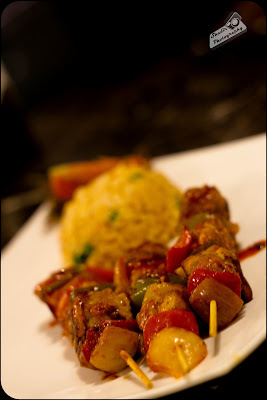 The Peri Peri Chicken came in skewers and was served with tomato rice. The rice had sweet chilli taste which I liked. The chicken too had the same sweet chilli hit to it. I have not had the peri peri chicken at Nandos, so I am unable to compare these to them. But this chicken tasted delicious. Then I had a bit of the Cheese stuffed chicken. I must say this disk rocked. It had a nice sauce, which complemented the chicken. 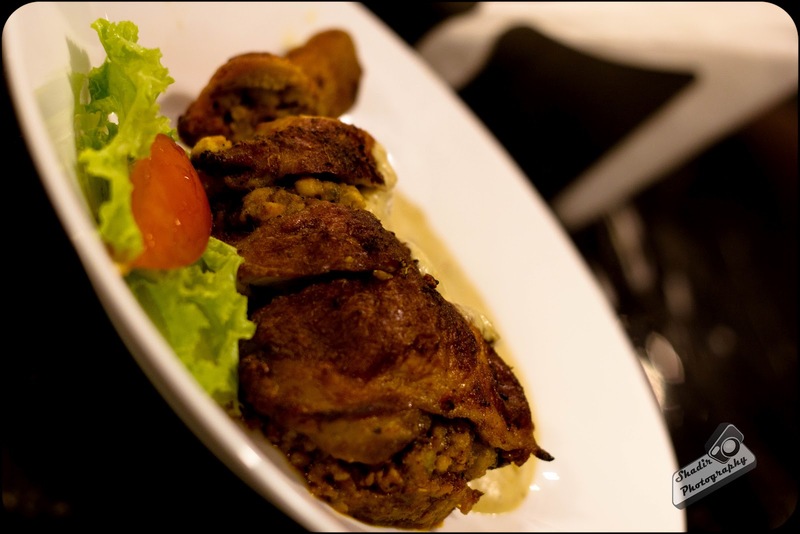 It was a chicken leg, in which the inner contents were removed and stuffed with a mixture of chicken and cheese. I wonder how it retained the shape despite all that stuffing. The dish was mouth watering. After the nice round of starters, we ordered for our main course. 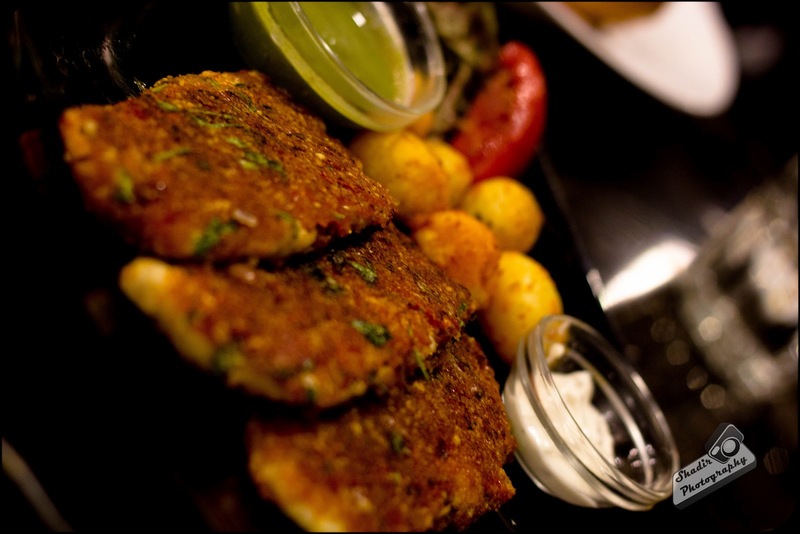 I picked Sago Tawa Fish with Tandoori Aloo, where as my friends picked, Crusted Chicken with Tarragon Sauce and Chicken Mie Goreng. 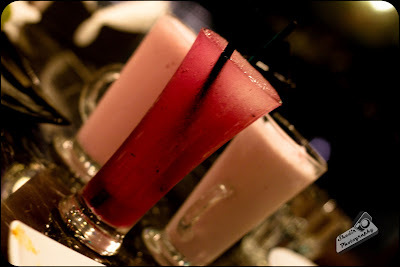 We also order for a Strawberry banana shake, Black current shake and a Berry Granita ( I am not sure of the names, was very hungry to remember them ). The juices tasted nice, felt the Strawberry banana shake to be very sweet. The Granita was soothing for my dry throat. My Sago Tawa fish was spicy, and the pudina sauce and mayo complemented it. The fish was fresh, soft and tasty. Just the way I like. All in all a tasty dish. I took a small piece from my friend's plate, Crusted Chicken with Tarragon sauce. The chickens outer cover was very crispy, it felt like it had a hint of rosemary to it. 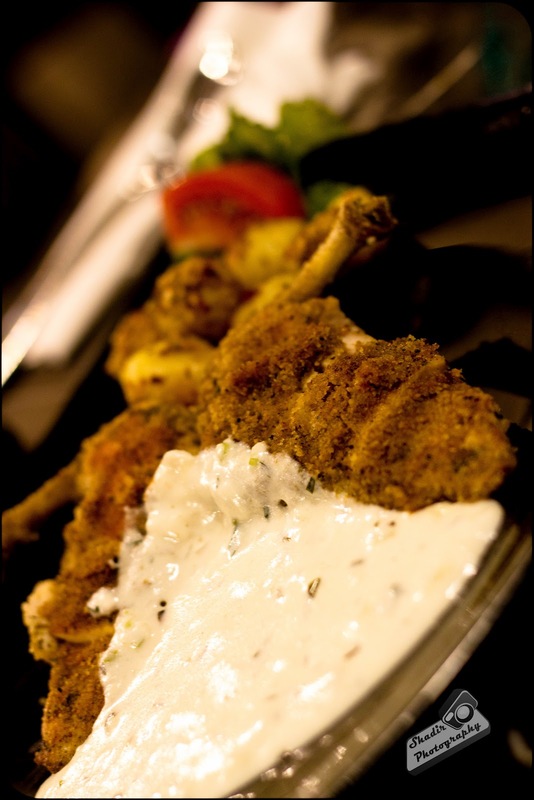 The tarragon sauce was slick, it gave the chicken a nice full bodied taste. After this I decided to disturb my friend who was having the Chicken Mie Goreng, the noodles was rich and the chicken was like KFC, the combo made the dish very rich. The next time I am here, I would like to try this out. After the main course, we decided to try the Roti Bomb, just to satisfy our sweet tooth. 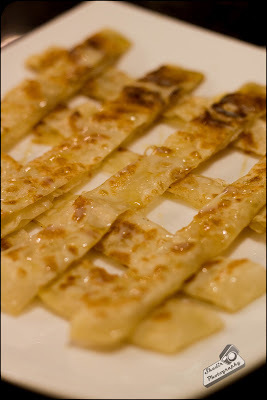 This was a parotta which was dipped in honey and drizzled with milkmaid or something like that. The honey and milkmaid concoction on the crispy parotta made it royal. Loved the dish. The meal put us back by Rs 1670/-. which I think is very decent for the amount of food we had eaten. Most of all I loved the ambiance. The outdoor seating looked great, and I bet it would rock during the winter season. 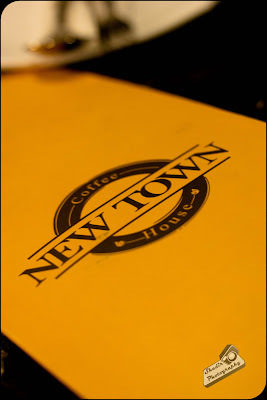 New Town Coffee House is located in Injambakkam, opposite to VGP in ECR.